Did you know that there are a TON of great Black Friday and Cyber Monday deals for work-at-home women?! 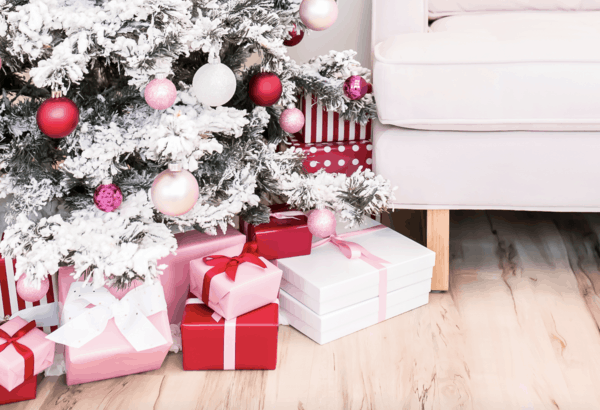 Yes, even the work-at-home realm is in on the holiday sales rush — which is an excellent opportunity for you to lay the groundwork or boost your work-at-home career this year and beyond. Here are some of the top Black Friday deals and Cyber Monday specials for work-from-home women! If you're looking for a legitimate, professional, work-at-home job — FlexJobs is where you need to search. Not only does FlexJobs research every single job for legitimacy, but you'll also save TONS of time by only having to search on ONE website. Best of all, FlexJobs is having Black Friday Deal – Cyber Monday Special with their deepest discount of the year — up to 67% off. Just use promo code FRIDAY at checkout. Go HERE to claim this deal and find your dream work-at-home job! This special ends Wednesday, November 28th! It took me years to find the perfect planner, seriously. I feel like I've tried every popular planner under the sun — each with its own pros and cons. But finally, I found the ONE. For the past couple of years, I've been using the Erin Condren Life Planner. It's large enough, so I have plenty of room to jot down notes and details, but small enough to pack in my handbag. It's also colorful, bright, and completely personalized! If you need a new day planner for the New Year, check out Erin Condren. She's offering 30% OFF sitewide for Black Friday and Cyber Monday. No special code needed, the discount will automatically be deducted at checkout. This special ends November 27th. Want to start a blog? Need something that's easy to set up? Then start your blog with Bluehost! Not only do they make the process simple, but they also have some of the most affordable hosting rates out there. For Black Friday and Cyber Monday, hosting from Bluehost will drop down to $2.65/month for the Basic Plan (when you sign up for 36 months). The Plus and Plus Choice Plans will be available for $4.45/month (for 36 months), and the Pro Plan will be $9.95/month (for 36 months). No special code needed — discounts will automatically be applied at checkout. This sale starts Friday, November 23rd at 12:01 AM MST and goes through Monday, November 26th at 11:59 PM MST. You can grab this deal here, or if you need step-by-step instructions, I have a tutorial right here. Would you like to generate passive income from your blog? Now you can learn from one of the best! Michelle, the brains behind the popular blog, Making Sense of Cents has a comprehensive affiliate blogging course where she shares her secrets for earning over $50,000 a month just from affiliate revenue! From Friday, November 23rd to Monday, November 26th at 11:59 PM PT you can grab Making Sense of Affiliate Marketing at a discounted rate. Use promo code BLACKFRIDAY2018CC at checkout, and you'll receive $28 off of the price of this course. Click here to score this deal. Are you a numbers person? The Bookkeeper Business Launch (the complete home-based bookkeeping course to starting your own bookkeeping business) is offering a $252 discount ($1,747 for the full-course, or $178 a month for the payment plan). No special code needed, the discount will automatically be applied from the 18th of November until the 27th of November. To see if Bookkeeping is your calling, click on the “YES! I want to Join Bookkeeper Business Launch” button to check out the first three lessons for FREE. You’ll receive the next lesson as soon as you finish the first one. Go here to get started! If there was one thing I could go back and change in my business, it would be to nurture and grow my email list. When I started, social media was all the rage, and I focused the majority of my time there — big mistake! Social media algorithms change ALL. THE. TIME. So, what's a goldmine of traffic and sales one day, can totally dry up the next. That's why it is so important to focus on growing and nurturing your email list. With email marketing, you own your list so you can connect with your audience whenever you want — and email marketing offers one of the highest returns on your investment (both in terms of time and money). If you're sold on email marketing — Constant Contact is having a Black Friday – Cyber Monday deal where you can score 40% off of your first three months! No code needed, the discount will be applied at checkout. If you're not familiar with Constant Contact, they are one of the better-known platforms out there. And having used them myself, I can vouch for their quality, features, and customer support. To grab this special, head this way. For a limited time, you can grab this FREE e-book HERE. If you're going to be shopping online this holiday season — be sure to sign up for Ebates! Ebates is a FREE platform that gives you cash back for online purchases. All you have to do is log into their platform, find the merchant you want to shop with and click the link. Your purchases are automatically tracked, and the cash back bonus will be deposited into your account. If you sign up now, you can earn a $10.00 cash back bonus when you make a minimum qualifying purchase totaling $25 or more. Plus, many merchants are offering double rewards for Black Friday and Cyber Monday. This is FREE cash — and something that I use every single time I shop online! You can sign-up for an Ebates account here. “I want to thank you and your partners for the information you gave me to earn extra income. I've never made money online before, I've tried, but failed many times. This week I tried out Ebates and made $102.06 and made my wife made $22.13 just today. I am so overwhelmed and beyond excited. I have tears of joy. My passion is to help the inner city youth, especially in the Chicago area, the elderly, and our vets. Thank you, and God bless you.” – Paulus K.
Black Friday and Cyber Monday deals aren't limited to just your holiday shopping list, your whole work-at-home life can benefit from these deals too. So, keep your eyes peeled for unexpected deals and discounts this weekend — you might just find a discount that helps take your work-at-home business or life to the next level. What Black Friday and Cyber Monday deals are you taking advantage of this weekend? Drop us a note; we'd love to hear from you! If you enjoyed this post — please share it on your favorite social media platform.